The Town of Monument is a statutory town situated at the base of the Rampart Range in El Paso County, Colorado, United States. Start off your visit on the 19th (Sun): identify plant and animal life at Monument Rock Trail and then brush up on your knowledge of spirits at 300 Days of Shine. To find other places to visit, more things to do, maps, and tourist information, refer to the Monument route planning site . Atlanta to Monument is an approximately 6-hour flight. You can also drive. You'll gain 2 hours traveling from Atlanta to Monument due to the time zone difference. Traveling from Atlanta in May, expect nights in Monument to be cooler, around 38°F, while days are slightly colder, around 64°F. Finish your sightseeing early on the 19th (Sun) so you can drive to Denver. Kick off your visit on the 20th (Mon): admire all the interesting features of Coors Field, brush up on your knowledge of spirits at Stranahan's Colorado Whiskey Tour, and then savor the flavors at Food & Drink. For photos, more things to do, reviews, and more tourist information, use the Denver holiday builder . Traveling by car from Monument to Denver takes an hour. In May, daily temperatures in Denver can reach 66°F, while at night they dip to 43°F. Wrap up your sightseeing on the 20th (Mon) to allow time to travel to Yosemite National Park. 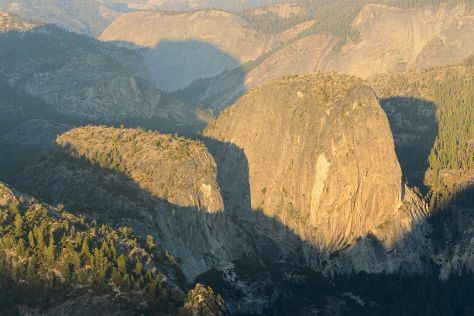 Start off your visit on the 21st (Tue): take in the dramatic scenery at Yosemite Falls, admire the sheer force of Vernal Fall, then take in the dramatic natural features at Sentinel Dome, and finally take in the dramatic natural features at Glacier Point. Here are some ideas for day two: make a trip to Yosemite Conservation Heritage Center, hike along Mariposa Grove of Giant Sequoias, and then take some stellar pictures from Tunnel View. To see ratings, more things to do, where to stay, and other tourist information, use the Yosemite National Park vacation maker site . Getting from Denver to Yosemite National Park by combination of flight and car takes about 5.5 hours. Other options: do a combination of flight and bus; or drive. Due to the time zone difference, you'll gain 1 hour traveling from Denver to Yosemite National Park. Traveling from Denver in May, expect little chillier with lows of 34°F in Yosemite National Park. Finish your sightseeing early on the 22nd (Wed) to allow enough time to travel to Homewood. Homewood is an unincorporated community in Placer County, California of about 200 residents, located on the west shore of Lake Tahoe. Kick off your visit on the 23rd (Thu): head outdoors with SWA Watersports, then contemplate the long history of Hellman-Ehrman Mansion, and then explore the activities along Emerald Bay State Park. To find maps, traveler tips, reviews, and other tourist information, read our Homewood tour planner . The Route module can help you plan travel from Yosemite National Park to Homewood. In May, daily temperatures in Homewood can reach 62°F, while at night they dip to 31°F. Finish your sightseeing early on the 23rd (Thu) to allow enough time to travel to Grand Canyon National Park. On the 25th (Sat), hike the day away at Bright Angel Trail. There's much more to do: explore the stunning scenery at Grand Canyon South Rim, hike along Rim Trail, take some stellar pictures from Yaki Point, and tour the pleasant surroundings at South Kaibab Trail. Plan a trip to Grand Canyon National Park easily and quickly by telling Inspirock to suggest an itinerary. Traveling by car from Homewood to Grand Canyon National Park takes 12.5 hours. Alternatively, you can fly. Due to the time zone difference, you'll lose 1 hour traveling from Homewood to Grand Canyon National Park. Expect a bit warmer weather when traveling from Homewood in May: highs in Grand Canyon National Park hover around 68°F, while lows dip to 33°F. Finish your sightseeing early on the 26th (Sun) so you can travel to Las Vegas. Las Vegas is known for nightlife, shopping, casinos, historic sites, and nature. 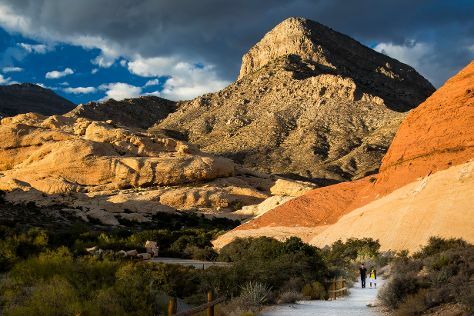 Your plan includes some of its best attractions: take in breathtaking views at Red Rock Canyon National Conservation Area, enjoy breathtaking views from Eiffel Tower Viewing Deck, admire the natural beauty at Bellagio Conservatory & Botanical Gardens, and get the adrenaline pumping with an extreme tour. For photos, reviews, ratings, and other tourist information, you can read our Las Vegas route website . Getting from Grand Canyon National Park to Las Vegas by combination of flight and car takes about 4.5 hours. Other options: drive; or take a shuttle. Traveling from Grand Canyon National Park to Las Vegas, you'll gain 1 hour due to the time zone difference. Expect somewhat warmer weather when traveling from Grand Canyon National Park in May: highs in Las Vegas hover around 87°F, while lows dip to 64°F. Wrap up your sightseeing by early afternoon on the 29th (Wed) to allow enough time to travel back home.